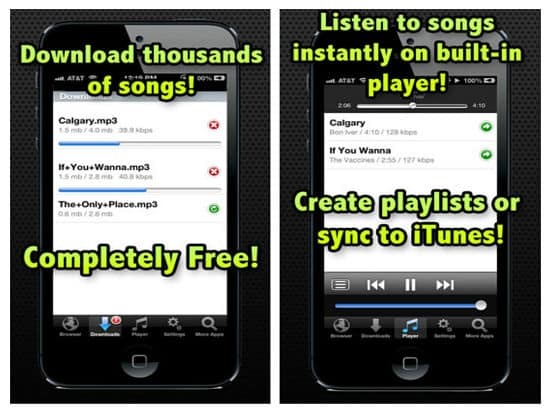 Looking for Best Mp3 Downloader for iPhone or any iOS devices to Download Free Music? Try these best free music download apps for iPhone and iPAd. We all love to listen to music and surely want to enjoy all our favorite songs on iPhone, iPad or iPod! But we need to have a great collection of songs on our device to start listening. Wondering how to get free music on your iPhone? To help you out we gather a list of the best applications to download all songs in mp3 format directly on your iOS devices. Check out the top free mp3 downloader apps for iPhone or any other iOS device to download free music and Mp3 songs for FREE. These apps are a good selection of the best iPhone apps to download music! Top 5 Free iPhone Apps (best mp3 downloader for iPhone) to Search free music downloads for iPhone 7 iPad. NOTE: Since Apple decided to remove all music downloader apps from appstore it has become a tough task to get free tracks directly on the device. However there are still some free music apps for iOS those allows to download and save music offline on the go. Spotify is one of the most popular music streaming app, but it can also pull the tracks for offline playback. To download songs simply add tracks, artists or albums to your playlist. Open the songs, playlist or an album. If the tracks are available to download, you will see a toggle “Available Offline.” Turn it on to the green. Wait for the songs to be downloaded. Once completed you can enable Offline Mode from settings –> Playback. The default android music player “Google Play music” app is also available for iOS users to download for free. However, the free version of the app only allows streaming music online. To be able to download tracks users need to buy a monthly subscription that cost $1.99 for a month. Once subscribed, run the app open songs or album and there will be a download icon or use the three dots menu button to download action. The price of the subscription is the most attractive option out there. Amazon Prime Music is the music streaming service offered by Amazon that lets you download tracks for offline playback. The service offers a free trial for 30 days. We suggest you get the free trial then if you feel satisfied, you can move on to a yearly subscription option. Similar to Amazon Prime Music, Groove also offers a 30-day trial and decide whether you like their service. Groove allows to download and save the tracks and albums you like to your iPhone for offline listening. For a monthly fee of $$9.99 users can enjoy millions of high-quality tracks without any ads. 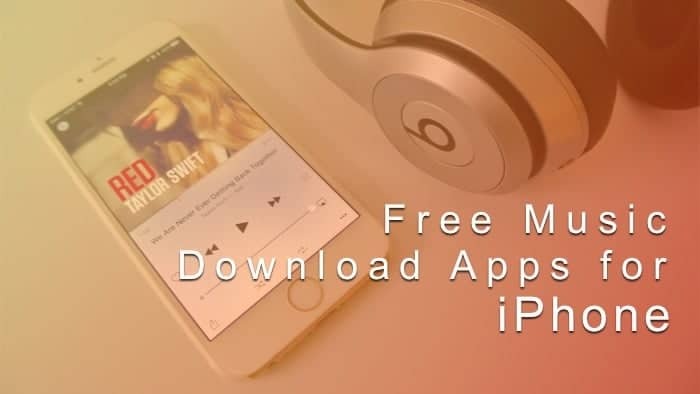 Free Music Download is one of the iPhone apps to download free music that allows you to download thousands of legal, free songs. With this app, you can create playlists and easily search your music. The app instantly plays songs with its built-in player. All the 5 best free music downloader for iPhone listed above are great choice. Hopefully, you will enjoy downloading Mp3s. Let us know your experience using these best music downloader apps for iPhone. Thank you.